The domain hydro-industries.com is owned by Hydroponics Industries and is a general information site on hydroponic systems and growing tomatoes hydroponically. We have no direct connection with the now non-trading company Hydro Industries other than some years ago we purchased the “hydro-industries.com” domain when it was released by them in 2011. We appreciate that there a number of ReelSmart owners, a product formerly manufactured by Hydro Industries, who maybe are looking for help, hose reel spare parts or maybe a new hose reel. We do know that ReelSmart hose reels and spare parts are now sold by Suncast Corporation in the United States. 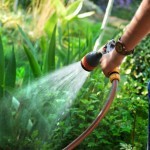 So for information on Hydro Industries, Reelsmart or Robo winder hose reels try www.suncast.com. We have no information on hydro industries hose reel parts availability in other parts of the world. Hope this helps. Please feel free to leave a comment if you have further information to share. Thanks for your comment. We have no direct connection with the now non-trading hose reel manufacturer hydro industries. We did buy their website domain a couple of years ago when they released it. We now seem to be getting a number of queries on buying parts for no-crank hoses so we have set up the webpage above with more details on where reelsmart products can be found. See above to find out more. Hope this helps your search. What is the website with more details? Please read the page above to find out more. My retractable reel smart hose reel by hydro-industries is slipping when its trying to retract. Can it be replaced to can I get parts to fix it. I tried the website for Suncast in hopes of finding information on replacement parts for my ReelSmart sink station but never could find a spot with information for replacement parts only the purchasing of new ground systems. None of the information listed was for the sink station. I cannot believe the people who come to this page and ask you for help after you have painstakingly explained you cannot help them. Hilarious. (or not. depending on your mood, I’d guess). I’d like to tell others who are in the same boat as me: Bought a SunCast first. Liked it, bought another but this time a ReelSmart. the SunCast broke. the ReelSmart didn’t. I set out to look for a ReelSmart and now learn they are owned by Suncast. BUMMER! But thank you ever so much for the information. What a blessing. Take care. I now need to replace my other hose reel. Will the outdoor sink with the no-crank retractable hose reel (SK241501) ever be available again? We have one and rally want to purchase another. I would try suncast to see what they do now. Hilarious. The top of the page explains that this company has N.O.T.H.I.N.G. to do with the former company that made the ReelSmart hose reels .. something that didn’t really need to be done but is nice of this company to do so. And yet .. there are ten or so messages posted below the announcement asking for their reels to be repaired. CAN’T YOU PEOPLE READ?!! No. Throw it away. Nothing can ever be done to fix it. Just wanted to know, if you ever got your Reelsmart fixed, or knew how to open it up. I bought 5 of them, and want to try to fix at least one of them, with parts from another broken one. Thank you!! I bought a smart reel , now I need someone to show me where the hoses go. Where can i pick up some directions? Thank you for making this page, Hydroman. The reason people are leaving posts on this web page is not because they wish to annoy the website owner. It is because they are looking for replacement/repair parts for their Reelsmart, made by Hydro Industires, and, like me, have found that Suncast does not sell parts for the older Hydro industries version which turns out to be a better product, based on user reviews found online. They come to this page to share their experiences, and/or to seek advice on where to turn when they can’t get the parts needed from Suncast. If you can find a similar forum on Suncast’s web site, be sure to let us know!! I’m looking for replacement O-rings for my Reelmsart Classic 10001. There are four of them inside the winding mechanism that keep the hose reel from leaking water when in the auto re-wind mode. It will leak after 10 years of use, so it would be nice to know where to find replacement O-rings. I understand that they can no longer be contacted, I just want to know, how to open it up, to see why it will not work??? Has anyone opened it up?? Does it actually have screws?? I do not want to break it anymore, trying to find why it is stuck, when I put it on rewind!!?? I am asking you, because after reading about all these other owners, problems, you said you actually know about the O rings, because you looked inside the winding mechanism. How did you do that. I cannot seem to get the cover off that part. Any help doing that would be appreciated. I have 5 of them, and need them to work, but they all have something different missing, and I wanted to open them up, and switch the parts around among 5 I should be able to get one working one out of all the parts!! Thank you!!!! I have a smart reel that is about 6 yrs old. it no longer has the power to rewind any length of hose over 25 ft. what do i need to repair it?